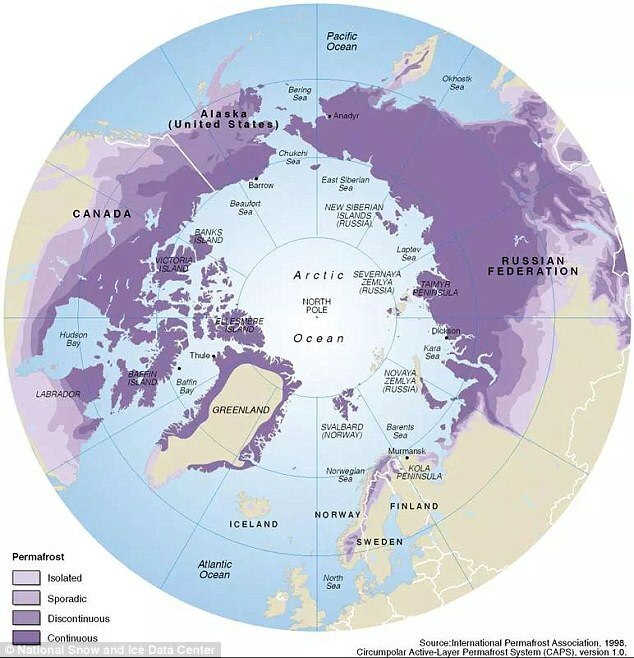 The Arctic plays a critical role in maintaining a safe and stable global climate, with its reflective sea ice that sends significant incoming solar radiation safely back to space and its permanently frozen tundra that secures ancient stores of carbon dioxide and methane. But the Arctic is warming at twice the global average, threatening to break what may be the weakest link in the chain of climate protection. The amplified Arctic warming is causing the reflective sea ice to melt, exposing darker water that absorbs more incoming solar radiation. 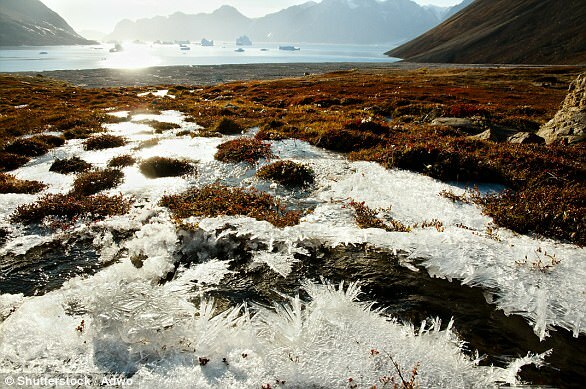 It also is causing permafrost to thaw, releasing carbon dioxide and methane. Both processes are self-reinforcing feedback loops, in which initial warming feeds upon itself to cause still more warming. Feeding warming and making it stronger is not a strategy for success. The recent UN Arctic report synthesizes existing research to show that even if climate emissions were halted today, Arctic warming would continue for at least two decades. This is due to past and present emissions and the return of heat stored in the ocean, where 90 percent of the warming we’ve caused ends up. Of course emissions are continuing. Fast mitigation at scale can still slow future Arctic warming, starting with immediate cuts to the short-lived climate pollutants—black carbon, methane, tropospheric ozone, and hydrofluorocarbons. Cutting emissions of these short-lived pollutants immediately can reduce the rate of Arctic warming by up to two-thirds. Fast cuts to carbon dioxide also are important, but over the next two decades they will actually add warming. This is because co-emitted cooling aerosols from fossil fuels like coal wash out of the atmosphere in days to weeks and unmask existing warming, while much of the carbon dioxide remains in the atmosphere for hundreds of years to continue causing warming. Even with fast and dramatic cuts to short-lived pollutants, the race to save the safety functions of the Arctic will now be difficult. 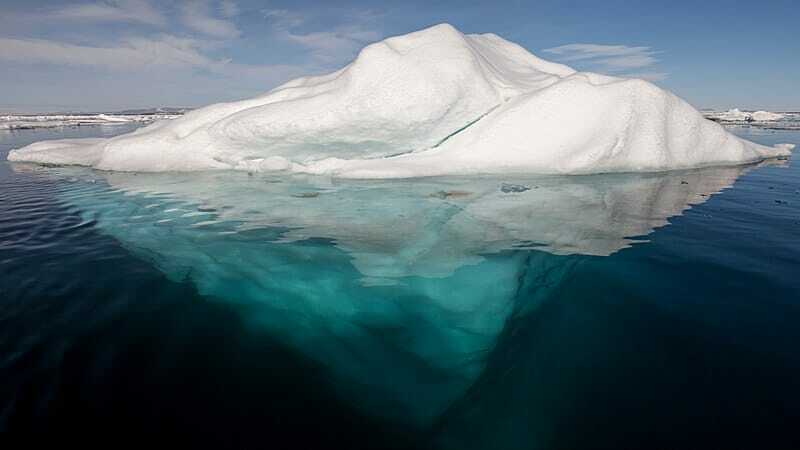 For starters, the Arctic is projected to become ice free in the summer months within 15 years, with an uncertainty range of plus or minus 10 years, so perhaps as soon at five years, or if we’re unusually lucky, perhaps 25 years. Losing the reflective ice shield will add tremendous warming to the Arctic, which will spread significant warming throughout the globe. 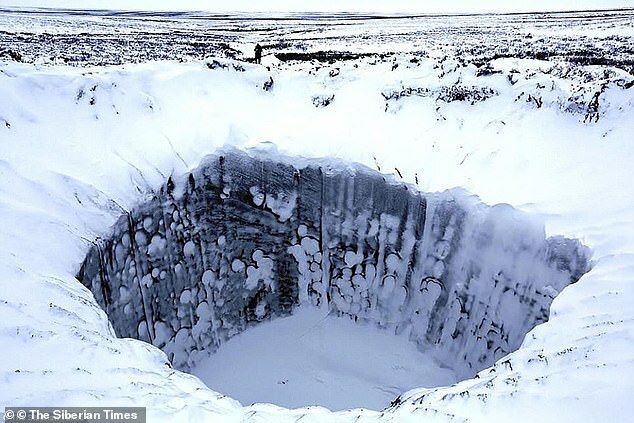 The permafrost also is thawing, releasing more carbon dioxide and methane, a super climate pollutant 84 times more potent than carbon dioxide over the next two decades. Because the Arctic’s role in regulating the global climate is a critical link in the chain of climate protection—and perhaps the weakest link—it should be the focus of an all-out effort to keep it strong and safe. This requires cutting emissions of short-lived pollutants, as California has shown the world how to do. 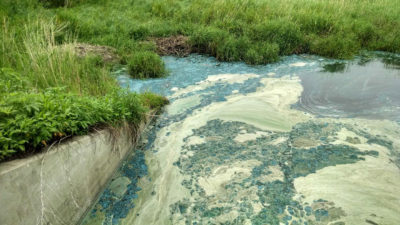 It also requires speeding up strategies to remove carbon dioxide we’ve already emitted, including natural processes that use photosynthesis to pull carbon dioxide from the atmosphere and store it in trees, grasslands, wetlands, and other biomass, while using the root systems to rebuild soil carbon. Other strategies for capturing and utilizing carbon dioxide in products are getting ready to move to commercial scale, meaning that costs would drop rapidly. Finally, we need a crash program to speed mechanical means of direct air capture of carbon dioxide, as many leading scientists and climate experts are advocating. With the need to remove up to a trillion (1,000 billion) tons of carbon dioxide over the century, this will be a whale of a market opportunity. Can the world meet this challenge, even as global emissions are going up again after three years of no growth, and coal, the worst climate polluter, remains stubbornly near its historic level globally at 27 percent of the world’s energy mix, with projections that it will decline only slightly to 25 percent by 2023? Equally troubling, the US is now one of the leading producers of crude oil, rivaling both Russia and Saudi Arabia and on target by 2025 to produce as much as both combined. How much harder will it be for the United States to pursue a low-emissions climate policy, when it must wrestle with the growing geopolitical power related to such oil dominance? The oil majors and their investors are predicting increasing demand for fossil fuel products over at least the next couple of decades, although their future is now threatened by growing carbon constraints, including lawsuits to make the oil majors pay for the climate pollution they’ve contributed for decades after they knew the risk their products were causing. Establishing the liability of the fossil fuel industry for climate impacts and making polluters pay for them would help remove the single biggest barrier to climate protection. But such a legal outcome is not enough to deal with the overall climate problem, nor is it guaranteed to occur. The desperate race to maintain the Arctic’s stabilizing role in the global climate means we also need to put geoengineering squarely into the policy mix, and risk the hazards, moral or otherwise, this could present. We should start with “soft” geoengineering that can be scaled up and reversed if side effects become too troubling. One example is Ice911’s strategy to use silica-based glass microspheres to cover thin, first-year ice in the Arctic to enhance reflectivity and grow stronger multiyear ice. It’s working in small experiments, and could be scaled up quickly, with careful monitoring for side effects. While riskier, another geoengineering strategy involves the introduction of cooling particles into the atmosphere to reflect solar radiation back to space, as observed following the 1991 volcanic eruption of Mt. Pinatubo in the Philippines. Solar geoengineering may be able to cut half the warming from a doubling of carbon dioxide, according to the results of an idealized model experiment that showed this could be done without exacerbating temperature, water availability, extreme temperature, or extreme precipitation in any region. Nevertheless, the threat that some regions could be harmed by this strategy will continue to cast a long shadow and make such a policy course challenging to enact. Such a strategy would be even more problematic if sulfate particles were used, as this would delay recovery of the stratospheric ozone layer. Even so, we’ve reached the point where the risk of losing the Arctic’s ability to regulate the global climate appears greater than the risk of experimenting with geoengineering. It’s time to start learning what works best, while developing a strong governance system for geoengineering efforts. Time is of the essence, and speed must become the new metric for measuring all climate strategies. We need to know how fast a given strategy can reduce warming in the near term, and go all out with the fastest. As General MacArthur said of the history of war, defeat can be summed up in two words: “Too late.” We don’t want that to be the epitaph for our generation. … he appears to have a one-dimensional view of farming and climate. Methane leaking from oil and natural gas operations is the same sort of thing, Kron says—only on a multi-million dollar level that also contributes to climate change. That’s why his firm has pushed EOG Resources, the oil and gas company formerly known as Enron, to get a handle on their methane emissions. Investors typically rely on three approaches to drive change: the carrot, the stick and the ax. If that doesn’t work, investors can turn to the metaphorical sticks—non-binding resolutions voted on at annual shareholder meetings pushing a company in a particular direction. Boston-based Trillium first used the stick on EOG in 2014, urging the company to monitor and mitigate methane leakage in its oil and gas operations, which range from southern Texas to North Dakota, and also extend around the world. Only 28 percent of shareholders voted for the resolution, but it got the ball rolling, and in late 2018 the company and Trillium reached an agreement on monitoring, reporting and mitigation programs for methane emissions. The Government has agreed to take on board the committee’s recommendations in its own plan to be published next month, and it will feed into the National Energy and Climate Plan to be submitted to Brusselsby the of 2019. The proposed language in the Green New Deal got this wrong. Will it be corrected? Representative Alexandria Ocasio-Cortez, the legislator behind the Green New Deal, wants to take away our hamburgers. At least, that’s what a vocal group of Republican politicians would have you believe. The congresswoman’s vision for environmental reform, they say, amounts to a de facto ban on beef. Rather than engaging the public on the finer points of the non-binding resolution, which she co-introduced with Massachusetts Senator Ed Markey on February 7, these critics are appealing to our stomachs, and conjuring an America under gustatory austerity, a nation where we can’t eat what we want. These claims are political theater. And yet, in recent weeks, AOC has backed down from an inflammatory talking point about cow farts, and their role in climate change. Now, an outspoken member of the scientific community says he had an impact behind the scenes, and the politician’s public stance on ruminant flatulence has evolved out of deference to the facts. It started with the release of a fact sheet outlining the much-debated resolution’s key points. Shortly after Ocasio-Cortez’s office released the document, her office said it was a draft published by mistake, and retracted it. By then, she was already getting dragged for some of its proposals. That very public resistance has only increased over the last month. If you don’t hear about cow farts anymore from AOC, it may not be because of GOP criticism. That particular line set off a firestorm from the right. President Trump interpreted it to mean that Americans wouldn’t be able to “own cows anymore.” Republican Senator John Barrasso of Wyoming said it meant goodbye “to dairy, to beef, to family farms, to ranches.” Then AOC went on TV and defended it. As it turns out, neither side was accurate. Republicans are likely to continue linking Green New Deal priorities to a supposed hamburger ban. But if you don’t hear about cow farts anymore from AOC, it may not be because of GOP criticism. Frank Mitloehner, an animal scientist and air quality specialist at the University of California, Davis, insists cattle flatulence isn’t the problem it’s made out to be, and says he helped set the record straight. Here’s what seems to have happened. On February 4, shortly before Ocasio-Cortez announced the Green New Deal, she was speaking to school children in Queens, New York. When one asked how they could “combat” climate change, Ocasio-Cortez offered two practical options—stop using disposable razors, and skip meat and dairy for one meal. Mitloehner says his tweet got the attention of the think tank that advisesOcasio-Cortez on climate policy. Last month, he says, he was contacted by Anna Scanlon, who runs outreach at New Consensus, a policy group that helped write the Green New Deal for the congresswoman’s office. Why were they reaching out to him? Because the non-binding resolution calls for removing as many greenhouse gas emissions from the farm sector, which represent 9 percent of those total emissions in America, “as is technologically feasible.” Mitloehner, who studies how cattle emissions contribute to air quality, is well-liked by the meat industry, and has a knack for disarming fervent right-wingers, would seem a good source of information. Mitloehner claims that after his tweet, Ocasio-Cortez removed “all mentions” of cow farts from social media. I couldn’t find any such posts from her about said cows, and neither the congresswoman’s office, nor New Consensus, returned requests for comment. It is true, however, that the much-maligned fact sheet, and the line about “farting cows,” has disappeared. Briefly, its language was changed to “emissions from cows,” but that too was deleted. Mitloehner says Ocasio-Cortez’s policy team told him the reference was “pretty much a mistake” that was quickly remedied. Specificity is important, Mitloehner insists. Being able to tell our farts from our burps, and our burps from our fossil fuels, is the first step to mitigating the effects from all of them. And wrapping that all up in “farting cows,” he says, trivializes what’s otherwise a very serious issue. Other animal scientists, including Jason Rowntree, a forage expert at Michigan State University, share that point of view. 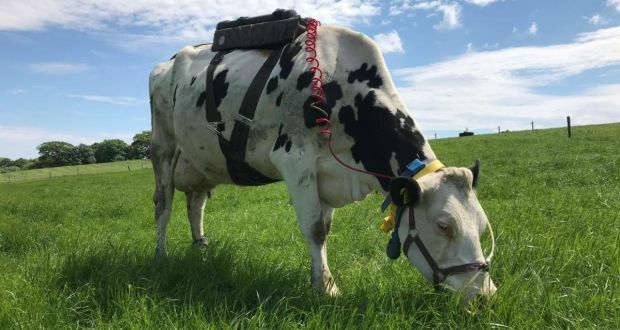 He says the fixation around cow farts is “juvenile,” and “dumbs down the conversation from a scientific perspective.” He’s also of the perspective that cattle grazing has environmental benefits which are overshadowed by the issue of methane emissions. Beyond that discussion of how, exactly, enteric emissions work, Mitloehner hardly considers the Green New Deal a revolution, or a moonshot. There’s already a version of it in California—a scoping planthat requires, among other changes, a 40-percent reduction of methane and soot by 2030. He disagrees with it, methodologically, saying he’s not convinced that emissions are being adequately measured today, and therefore, that it’s premature to establish targets. But philosophically, he’s on board. Reducing “short-lived” gasses, such as methane, has an immediate effects on global temperature. If all Americans adopted vegan diets, it would reduce the country’s carbon footprint by 2.6 percent. “Obviously, Germany has a different public policy around renewable energy,” he says. Mitloehner complimented Ocasio-Cortez’s policy team for being engaged during a half-hour conversation about those solutions, and for having evident knowledge of some of those technological fixes, like seaweed being fed to cows to reduce methane content. That doesn’t mean, however, that they saw eye-to-eye on everything. When it comes to eating less red meat, for example, Mitloehner does concede that it can reduce greenhouse gas emissions. But only by a very small amount. A recent study, for example, showed that if the United States completely shifted away from animal farming, and all Americans went on a vegan diet, the move would reduce the country’s carbon footprint by 2.6 percent. As crazy it sounded, I still had to ask him. Were the critics right? Were they onto something? Based on his conversation with the policy team, did he really think AOC was coming to take away your hamburgers? Correction: An earlier version of this article stated that a study modeled the environmental impact of 20 million Americans going on a vegan diet. In fact, it modeled the impact of all Americans on the diet. We regret the error. Global warming alarmists insist that we must drastically reduce or eliminate the eating of meat because, well, food-animal flatulence is destroying the planet, don’t you know. “Per tonne emitted, methane has a much larger warming impact than carbon dioxide. 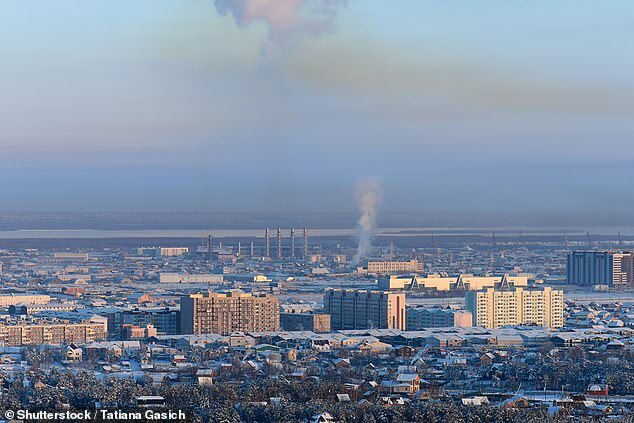 However, it only remains in the atmosphere for about 12 years, whereas carbon dioxide persists and accumulates for millennia,” said co-author Prof Raymond Pierrehumbert. The scientists’ climate model found that in some circumstance and over the very long term, the manufacture of lab meat can result in more warming. This is because the emissions from the lab are related to the production of energy which is almost entirely made up of carbon dioxide, which persists in the atmosphere for hundreds of years. Hand-wringing. Everywhere you look, there is hand-wringing. Yes, the authors say that a number of other factors should be considered including water pollution that cultured meat may avoid. But other experts say that isn’t so clear cut. 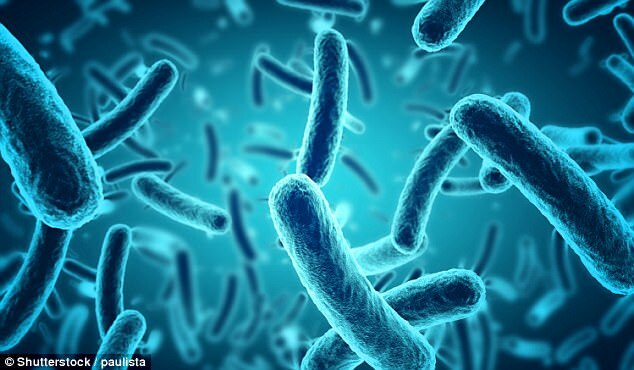 “Artificial meat may result in the presence of organic or chemical molecule residues in water, because the process would need to produce huge amounts of chemical and organic molecules, such as hormones, growth factors, to add to the culture medium to grow the meat” said Prof Jean-Francois Hocquette, at the French National Institute for Agricultural Research, who wasn’t involved with the study. Good grief. Do you ever get the feeling that important sectors of society spend most of their time chasing their own tails? The bottom line as I see it: If you don’t like this study, wait a few months and another will be published offering different conclusions. The intellectual effort expended in this investigation was a waste of time and energy. The cultured meat industry will grow or fail because of consumer satisfaction issues such as taste, texture, safety, and price, not due to terror about global warming. Photo: A “hamburger” prepared from artificial “meat,” by World Economic Forum [CC BY 3.0], via Wikimedia Commons.